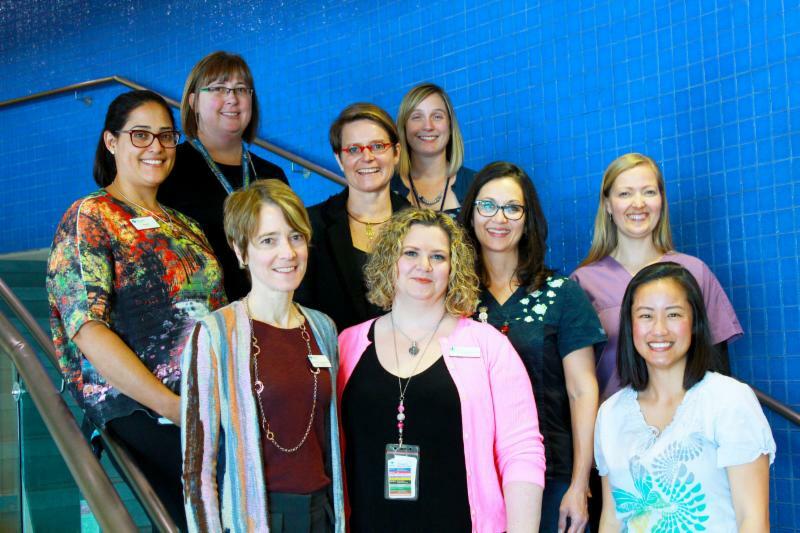 Three Alberta Children's Hospital programs were nominated for the AHS President's Excellence Awards in the Patient and Family Centred Care Category. These programs demonstrate the innovative and collaborative efforts happening at ACH to improve the quality of the patient and family experience. This program was a response to patient, family and staff feedback regarding the family impact of time spent in the hospital. It is the first of its kind in Canada to provide sub-specialty oncology care in the home. Specialized oncology nurses deliver therapies to children in their home, which includes many types of chemotherapy, medication and supportive care. model provides continuity and convenience for families and allows ASSIST to develop relationships with the child, family and healthcare providers, and supports communication between them. Last month, Catherine Morrison (PFCC Manager), Marie McNaughton (Family & Youth Engagement Coordinator) and Juliana Harris (PFCC Project Manager) had the incredible opportunity to attend the Beryl Institute's Patient Experience Conference in Chicago. We were part of a global community of healthcare participants, with diverse representation of senior level stakeholders and care facilities from over 20 countries. We also had the opportunity to be an e-poster presenter at the conference, sharing our robust patient and family engagement framework that guides our work here at the hospital. Wolf, President of the Beryl Institute, when he stated that "we are changing healthcare by advancing an unwavering commitment to the human experience." A human experience that includes both the experience of the patient (and family) and the experience of everyone else supporting healthcare - clinical and non-clinical. It is through this expanded perspective that we can make a difference for the betterment of countless lives. Our PFCC team left the conference energized knowing that there is a lot of things we are doing really well here at ACH to support the patient experience and also excited about pursuing new ideas and opportunities. Stay tuned. While we were in Chicago attending the Beryl Institute conference, we visited the Ann & Robert H. Lurie Children's Hospital where Susan Ruohonan, Senior Director, Family Services, graciously provided us with a tour. We learned that 6 years ago they moved to their current downtown location. The hospital currently has 233 beds, 70+ pediatric sub-specialties and sees over 148,000 patients per year. In 2017-2018, it made the honor roll for one of the Best Children's Hospitals in the United States. As we toured the hospital, it was quite evident that there was strong patient & family, staff, and community engagement in the design of the hospital. They had a lot of similar patient and family spaces and services as ACH has, such as a learning centre, family rooms, spiritual space, and peer mentorship. A couple of unique spaces and services they offered included their Get Well Network TV programming service, displays with interactive features, and electronic check-in kiosks for appointments. 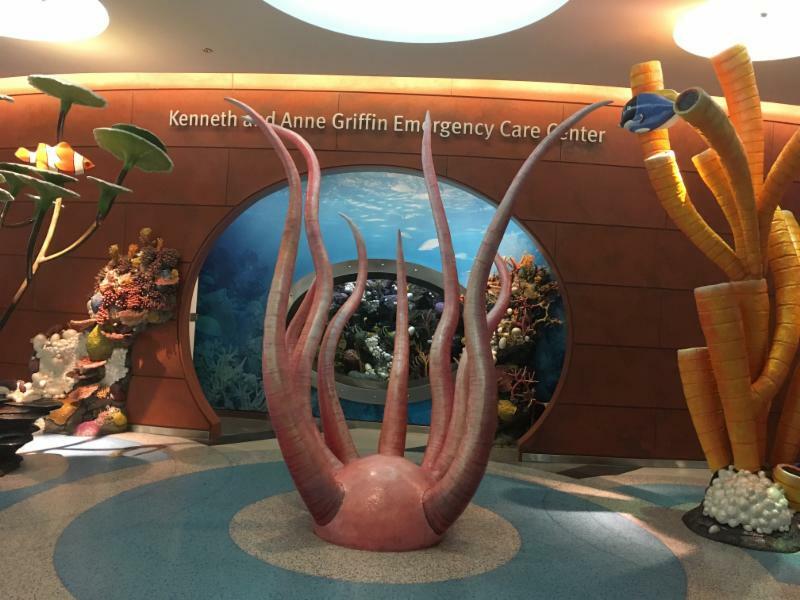 The hospital also partnered with the Shedd Aquarium, the Field Museum, and the Art Institute of Chicago which all donated unique installations that could be seen throughout the hospital. 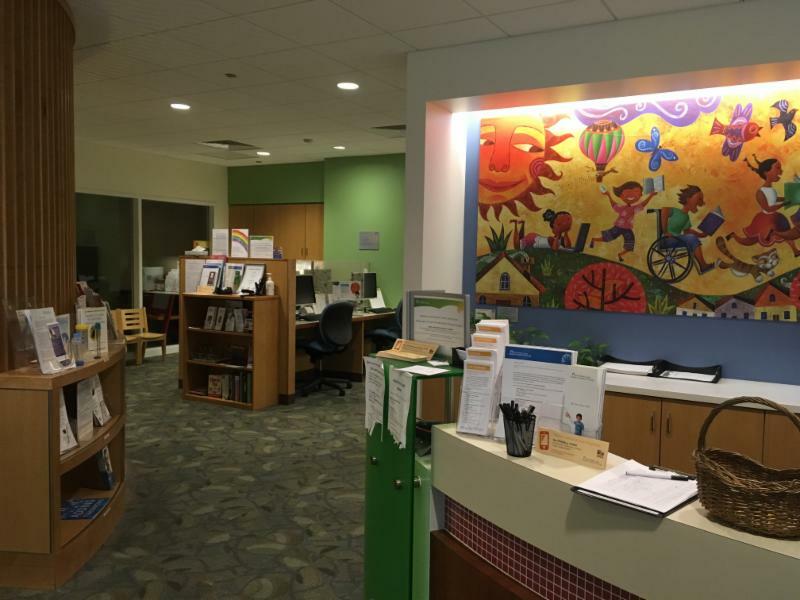 To learn more about the Ann & Robert H. Lurie Children's Hospital, click here. Did you know? If you are a Patient and Family Advisor at Alberta Children's Hospital or you are a staff member that supports Patient and Family Advisors, you can gain membership access to The Beryl Institute. As a member, you have access to numerous resources including white papers and the PX Journal, community forums, learning opportunities, and notification about events. To request access, email achpfcc@ahs.ca. 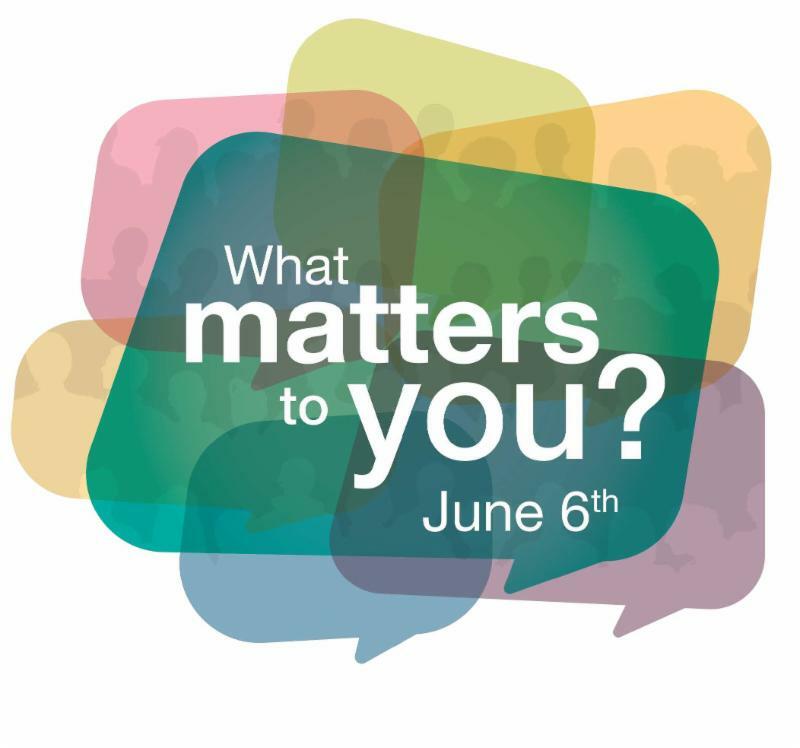 On June 6 have a conversation about what matters. If you are a patient, client, or member of the public, we invite you to reflect on what matters most to you, and to share it with your healthcare provider. It's that simple! If you are a health care provider, ask your patient, client and/or family"What matters to you?" and then listen, engage and support. If you are an AHS employee not providing direct patient/client care, you can still participate! Simply ask your colleagues "What Matters to You?" Taking this opportunity to engage with each other will help foster trust, empathy, and build stronger relationships. You can share your stories and photos on Twitter, Facebook, or Instagram using #wmtyAB. Follow @AlbertaPFCC on Twitterto keep tabs on the movement. "The [patient and family] doesn't care what you know until they know that you care." What the #%$*#!!??? is a Design Sprint? Sprints use a 5 phase process to rapidly solve big challenges, create new products or services, or improve existing ones. In this webinar you will learn: What a design sprint is, the 5 phases of a design sprint, the kind of problems can be addressed in a sprint, and how sprints have been used in AHS. Jordan's Principle is a legal rule to ensure that First Nations children have access to the services they need, when they need them. This session will provide an overview of the Tribunal's legal orders and discuss how practitioners and community members can ensure First Nations children, on and off the reserve, receive proper benefit from Jodan's Principle. 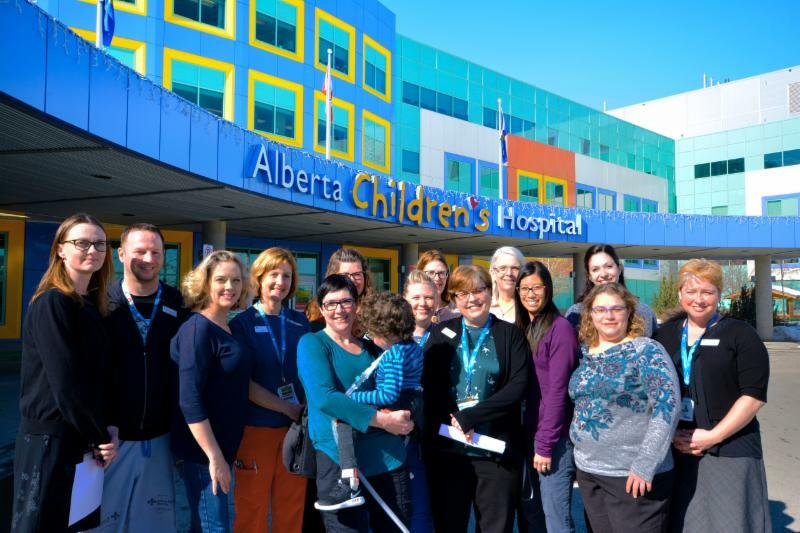 A team from Alberta Health Services will describe the initiatives and research that has brought together the children's hospitals, the community and the rehabilitation hospital through a collaborative research project to improve outcomes for children and families during and after transition.